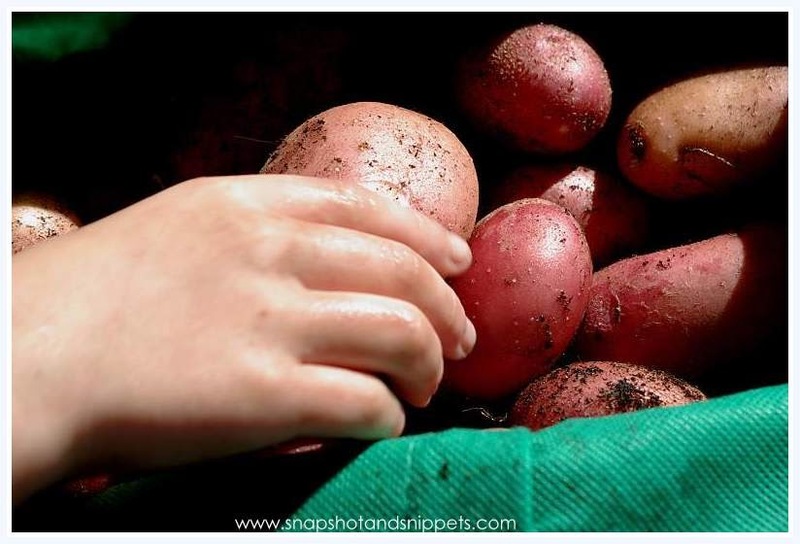 I love growing veggies – my seedlings are coming along great but I also like recycling, reusing and saving money so when I heard you could grow certain veg from “leftovers” I jumped at the chance. 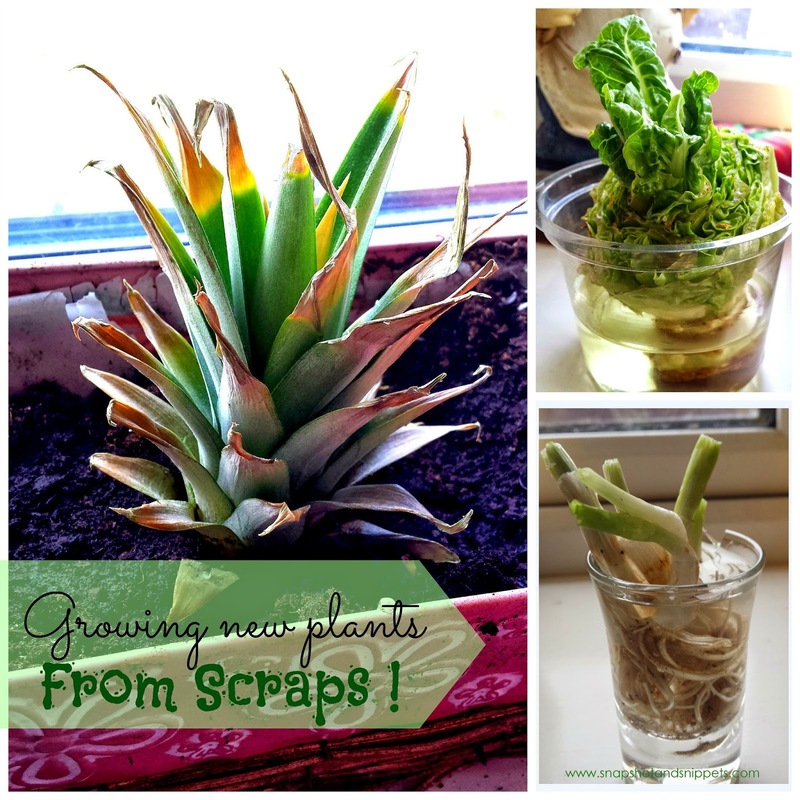 I want to share with you how I grow new plants from Scraps in my kitchen. We had actually done it once before – this potato crop was straight from sprouted potatoes in my cupboard re-planted and regrown. This time around we tried out new things. 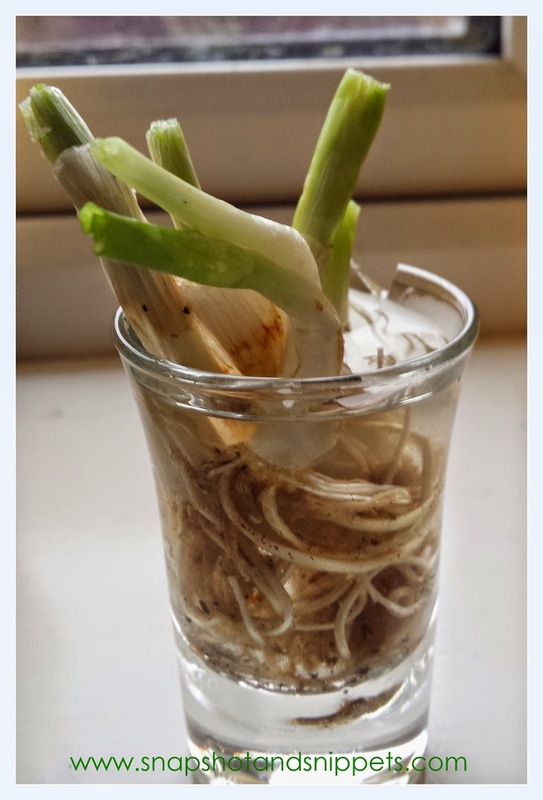 I use scallions quite a bit in cooking and I was told these were easy to regrow – just pop the cut ends into water for a couple of weeks, keep the water fresh and they will start to regrow and they did. I had scallions growing all winter, from the offcuts of last years summer crops. No need to buy scallions again, unless you get purple scallions seeds which I am trying out this year. 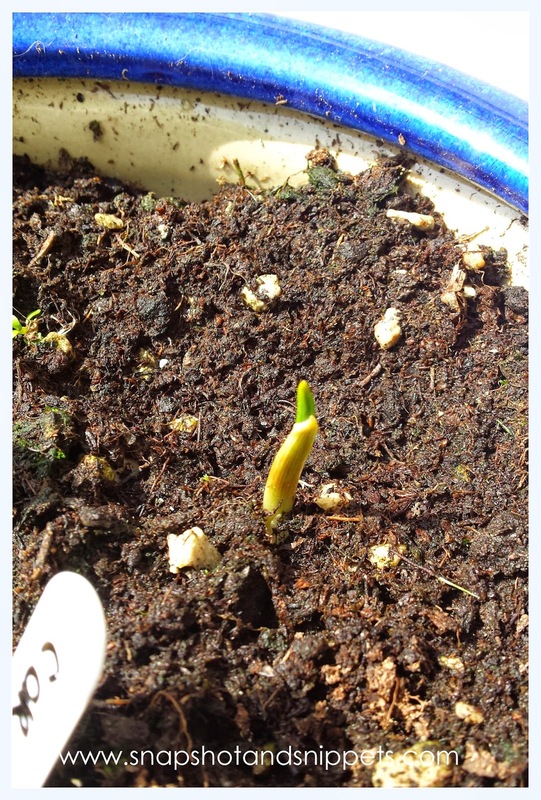 If you have a bulb in the fridge that has sprouted – plant it out in the garden in a sunny location and it will start to grow leaves, wait until the leaves start to die back, pull it up and you should have a new full bulb of garlic. I love little gem lettuce and grew them in my raised bed but over winter I had to go back to the supermarket. 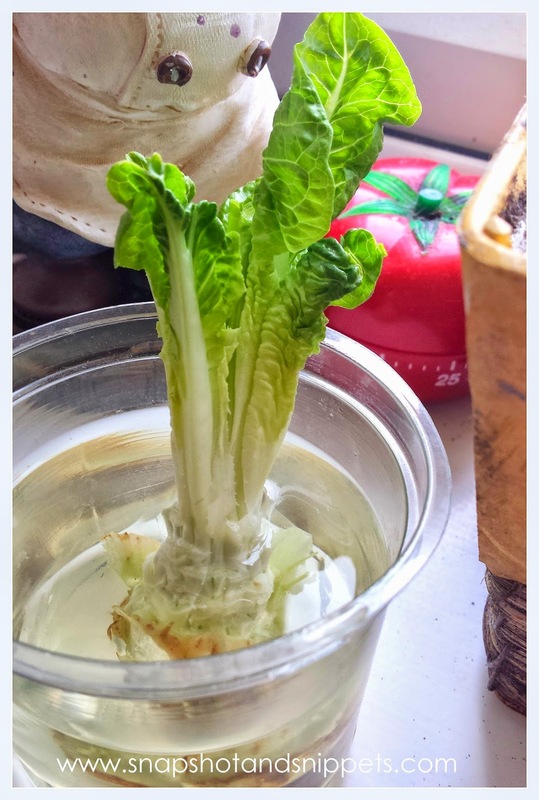 So I was thrilled when I found out you good regrow these, I popped this one in water a week ago and already it is growing back, Plant it out in the garden and it will grow a new head of lettuce. 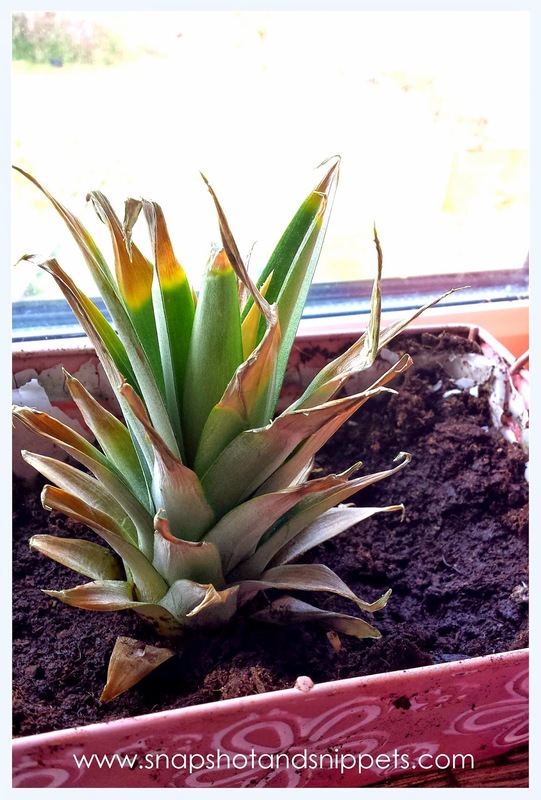 I love fresh pineapple, when I found out you could grow your own I couldn’t wait to get started. It was even better when they were on special offer in the supermarket last week. 1. You cut the top off and place on a saucer of water in the sunshine for a week and then plant in the ground. 2. The other method says to cut off all the flesh and expose the stem of the leaves and plant into the soil. Both say it must be kept in a warm, sunny environment as it is a tropical plant. 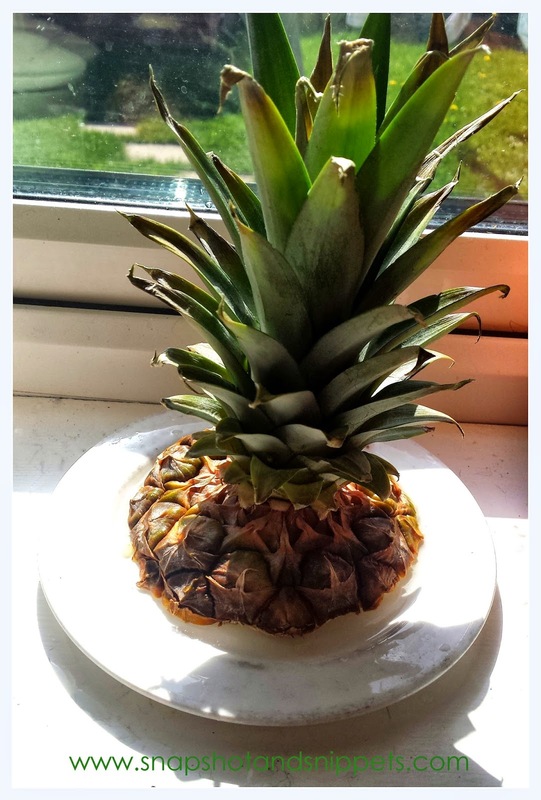 Also, your pineapple will take 2 years to grow so this one requires patience, so while you waiting take all those lovely pineapples you now have leftover and make Pineapple Upside Down cake below. 1.Grease a loose bottom tin with butter and place the pineapple slices neatly on the bottom. 2. In a bowl or mixer cream together the caster sugar and butter until light and fluffy, slowly add the eggs and then mix in the flour. 3. 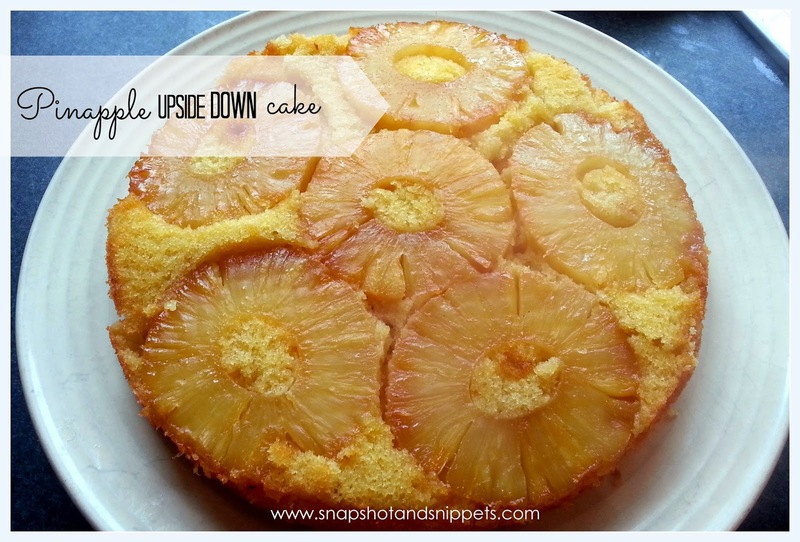 Pour the cake mix over the Pineapple slices and spread evenly. 4. Place in a preheated oven 180 degrees C, 350 degrees F/ Gas mark 4 and bake for 40 minutes. 5. Turn out the cake onto a tray, sprinkle with Brown sugar and place under a hot grill until the sugar is caramelised and the pineapple is lightly toasted. Have you grown anything from scraps and has it worked let me know in the comments? Or you can find more Ideas on my Snapshot and Snippets Organic Vegetable Gardening Posts on Snapshot and Snippets. Or you can sign up for the Snapshot and Snippets newsletter and receive a Free copy of my recipe Ebook and lots of hints and tips and exclusive ideas in my weekly newsletter.